Well, here's timely NSA revelation for you: The Intercept reports that the spy agency built a "Google-like" search engine for its seemingly bottomless cache of data on persons of interest. This tool allows the spy agency to share over 850 billion records with nearly two dozen U.S. government organizations, including the FBI and the DEA. 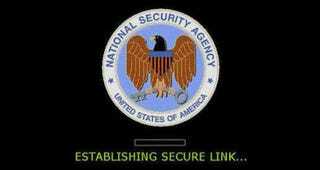 In other words, the NSA is giving law enforcement access to your phone calls, emails, location, and internet chats. And, per usual, there's nothing you can do about it. The so-called ICREACH search engine is designed to make data about foreign citizens more easily accessible for other spy organizations like the CIA as well as agencies like the FBI and DEA. However, millions of records from U.S. citizens have also made it into the mix. This is not the same cache data on Americans and non-targets that was revealed to exist earlier this summer. This is a whole new batch of information about U.S. citizens that a whole lot of people (read: cops) can access. And thanks to the Reagan-era Executive Order 12333 that enabled the database to exist, there's no court oversight or congressional approval needed for the NSA to run the program. To allow government agents to sift through the masses of records on ICREACH, engineers designed a simple "Google-like" search interface. This enabled analysts to run searches against particular "selectors" associated with a person of interest—such as an email address or phone number—and receive a page of results displaying, for instance, a list of phone calls made and received by a suspect over a month-long period. The documents suggest these results can be used reveal the "social network" of the person of interest—in other words, those that they communicate with, such as friends, family, and other associates.